The French Government is preparing to suspend fuel tax increases following weeks of protests that turned violent, according to a government source. Many are criticising the president for pursuing policies they claim favour the richest members of French society. Mr Macron pushed ahead with a series of punitive tax hikes to discourage driving. 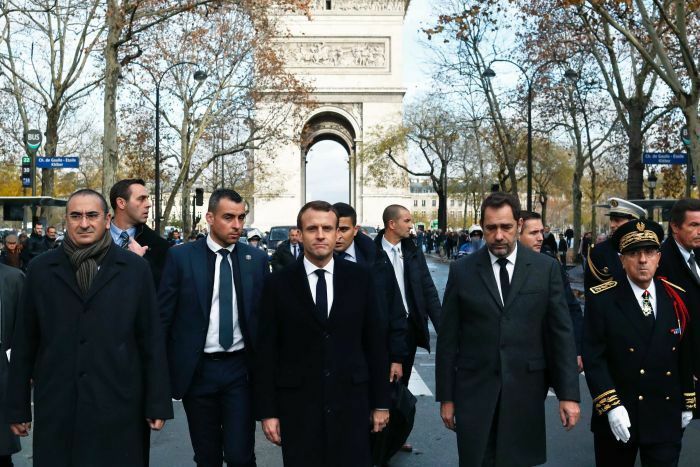 The protesters in Paris will be expected to pay much of the up to 8 billion euro annual tab for a minuscule global benefit — that’s how much tax revenue Mr Macron thinks his levies will raise. This is preposterous in an economy that still has an 8.9 per cent jobless rate (21.5 per cent for the young) and will struggle to hit 2 per cent annual GDP growth. RELATED STORY: What are France’s ‘yellow vests’ so angry about? RELATED STORY: What’s going on with the ‘Gilets Jaunes’ protests in France?